some of you maybe hate/dislike this kind of stuff. don't worry, this is not about drugs or anything dangerous okay...! haha! but if i do so, my father will kill me for sure. 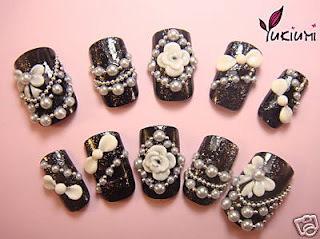 last night i was watching some tutorial on how to do a Japanese nail arts. not night actually. 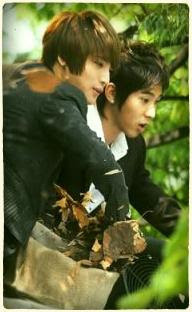 it's morning when i watch the videos~ haha... now i'm sleepy. okay! i will place a tutorial down here. this tutorial have 4 videos actually. but i'm gonna place only one video in here. just watch the rest of them in Youtube. 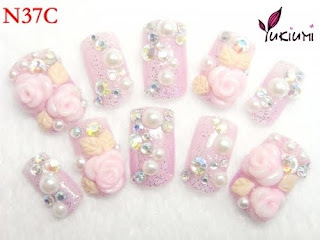 That's it, Japanese nail arts tutorial. 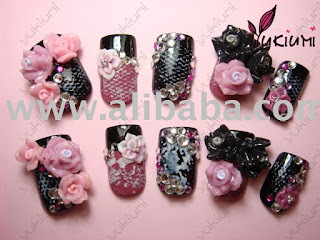 those nail arts are simple looking huh? yea, i know. 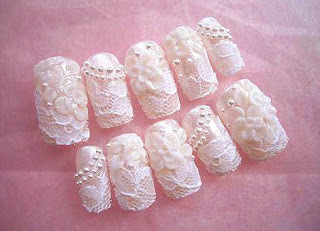 and using so many rhinestones and blinkies too. this pictures aren't mine. i took it as an example for this post. 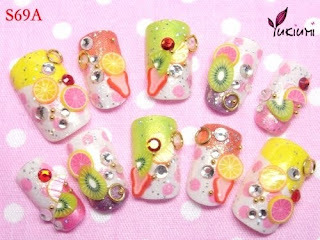 you can buy those design at Kawaii Nails. but some of the designs up there are not available anymore.